Mission: Our mandate targets both the development of research and the support for dissemination of contemporary art. As an organization dedicated to art production, our activities consist of encouraging research and reflection on contemporary art and its processes through group residencies of artists, curators, and writers in contemporary art. The dissemination activities aim to increase the impact of the work developed in residency. Cost: Artists receive a $1144 stipend and free lodging for the eight-week period of the residence. They also have access to an individual studio space, a woodwork shop, various tools, mainly for wood – but also metal and stone, technical and logistical support, certain electronic equipment… and a bicycle. Curators and writers receive a $572 stipend and free lodging for the four-week period of the residence. A $260 writer’s fee will also be paid for texts on the residency produced for publication by Est-Nord-Est (250 words per artist). Curators and writers have access to an individual studio space, documentation on the artists, certain electronic equipment, logistical support… and a bicycle. 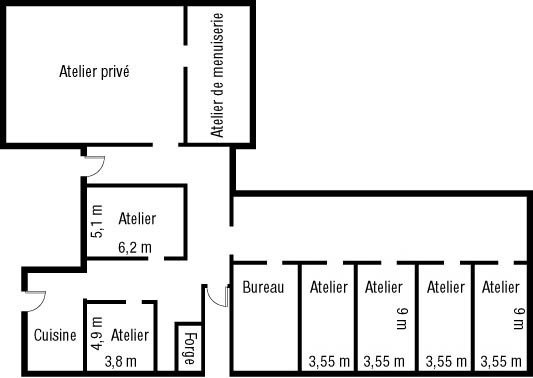 Accommodations: The artists and the curator or the writer share a collective house next door to the Est-Nord-Est studios. It has five bedrooms, a kitchen, a living room, two bathrooms and a laundry room. Benefits: Audiovisual and computer: 2 video projectors; slide projectors; DVD player/video recorder (VHS-NTSC); projection screens; light table; Macintosh computers; software; scanners; black-and-white/colour laser printer; high-speed Internet. The artists may use this equipment on an occasional basis to complement their work in studio. Artists who wish to make intensive and continuous use must bring their own computer. Carpentry Machine Tools: 12-inch planer; 12-inch jointer; band saw (clearance 32 inches, height 16 inches); table saw with guide; mitre-box saw; radial saw; electric chain saws; vertical, horizontal, disk, and band sanders; drill press; wood lathes. Machine tools: Electric plane; drills; routers; clamps; gouges, chisels and knives; workbenches with vices etc. Metal: Cutter; oxyacetylene torch; arc welder; grinder ; forge. etc. Stone: Compressor; pneumatic polisher; grinder with diamond-impregnated blade; mallets; spikes and chisels etc. Ceramics kiln, Sandblaster, To meet artists’ other needs, we also solicit other technical resources in the region. 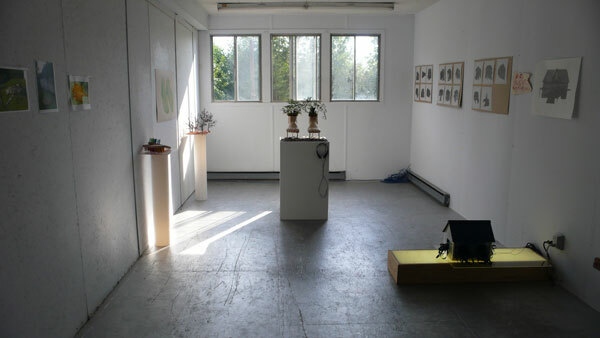 Posted in Canada, Est Nord EstTagged 4 week, 8 week, Art, art residency, Artist, Artist Residency, artists, audio, band saw, bedrooms, bicycle, Canada, caprentry, ceramics, chisels, clamps, collective, compressor, computer, Computers, Contemporary Art, Contermporary Art, curator, curators, cutter, development, dissemenation, documentation, drills, DVD player, electric chain saw, electronic equipment, Emerging, Est, Est Nord Est, established, forge, free accommodations, free application fee, free housing, free lodging, gouges, grinder, group residencies, House, International, internet, intimate residency, Jean, jointer, Joli, kiln, kitchen, knives, laundry room, light table, living room, logistical, machine, Macintosh, mallets, metal, mid-career, mitre-box, national, Nord, planer, polisher, Port, Printer, production, projection screens, projector, publication, Quebec, radial saw, Rate My Artist Residency, receive, reflection, research, residency, routers, Saint, sandblaster, Scanners, shop, slide projector, space, spikes, Stipend, stone, Studio, support, table aw, table saw, technical, tools, torch, various tools, video recorder, Visual, welder, wood, woodwork, work, workbenches, writer, WritersBookmark the permalink.